You might think wtf. 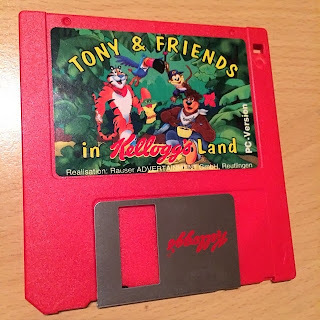 This game was created for promotional use (Advertising) back around 1993 (I forgot the exact date) on Amiga and PC. The business model was adapted by Rauser Advertainment, a follow up company from COMAD. I was Rausers development director back then and single handily produced all his games through remote management using BBS (remember the internet wasn't invented yet). They basically did create games on all popular formats paid by the ad agency. 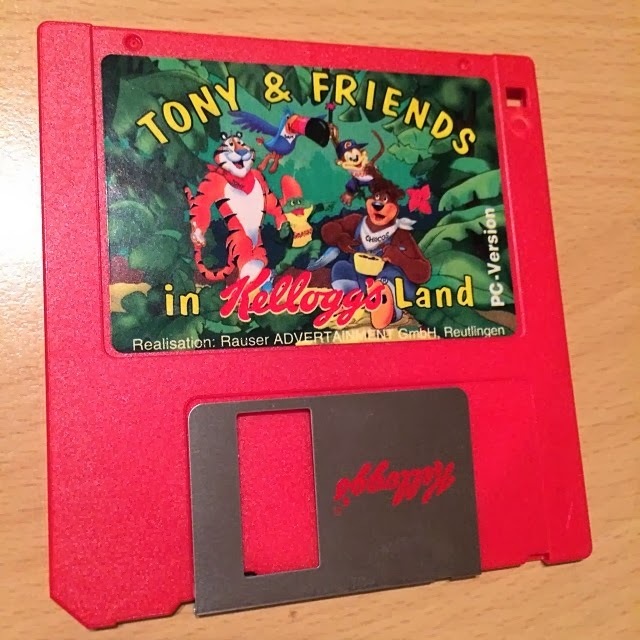 When finished the company also distributed the game for free, mostly as cover disks or on trade shows. The reach was immense - we could calculate a reach of more than 3 million with the Kelloggs game. Considering how cheap development was back in that time the contact price per customer was much better than any TV commercial - and the user engaged with your product at his free will and much longer! The game was a jump & run with lots of hidden areas. You played four different characters which were based on the products of Kelloggs and you could switch between them. Each character had specific talents: Tony the Tiger was strong, the Frog could swim and dive, the Toucan could fly and the monkey could climb. Levels where custom designed around those talents. Of course collecting the cereals enhanced your life which caused a positive relationship between the player and the product. Advertisers loved that kind of games and it caused an entire business to spawn which highlighted in the company Phenomedia and their "Moorhuhn" game. they even went public, betrayed the tax authorities and their CEO's went to jail. Done was the "advertainment" industry. Thank you to the three awesome talents back then who created it: Peter Thierolf, Jan Jöckel and Anthony Christoolakis.